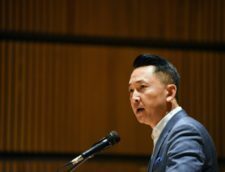 Viet Thanh Nguyen discusses ways to engage the audience during literary readings in an op-ed for the Literary Hub. 1.Do not be defensive and think that you are a writer and that writing is different from performing. have seen poets who say that the words on the page are what matter and therefore they will read them with minimal interpretation. I invite them to do so in the privacy of their own rooms, because listening to them in public was painful (for me). They have forgotten that writing, and poetry, have often been performed throughout history because they are also acts of storytelling and community. We told each other stories before the open fire and we read each other books before there was radio and television. 2. Perform from a script rather than just read your book. I also like to blow up my font to 16- or 18-point size to make the text easier to see. Other writers mark up their texts with notes on when to speed up or slow down, when to raise or lower their voices, and so on. Changing up the rhythm and volume keep you and your audience engaged. I borrowed a few tics from outstanding orators like Barack Obama. Steal the habits and styles of good speakers, no matter what their profession. 3. Make eye contact with your audience. Not just once or twice. Regularly. This will help keep the audience involved. Obama has teleprompters, but this is where a script with big print will help. 4. 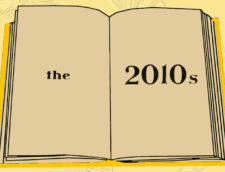 Do not just read 20- to 40-minutes straight while never looking up from your book and speaking in a soft monotone. PLEASE. Only rarely does this work. How often have you enjoyed being read to like this? Reading in this manner only works when the reader has particular magnetism or acting talent, or when they are aging literary legends and we are there simply to revere them. 5. Consider reading just short excerpts and insert them into a story you are telling or a talk about some larger issue. Imagine what the larger story or talk is about. 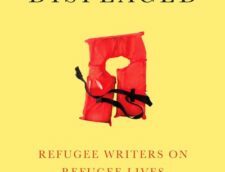 Over the last couple of years, for example, one of my talks has evolved to be about immigrants, refugees, and storytelling. I was inspired by seeing Akhil Sharma read bits from A Family Life, a tragic novel. He read only from the first couple of pages, broke them down into brief bits, and found humor by interspersing those bits with descriptions of his agonies in taking a dozen years to write a short novel. It was amazing to see him get laughs from grim material, and he did so not by relying on his reading but by figuring out another story. I learned a lot from seeing him tell jokes, and I try to lighten the mood as well. This eases the emotional burden on me and the audience, which is not always necessary or desirable, but it is a useful strategy if you wish to use it (and it is one that satirists deploy well in their writing). 6. If you’re lucky enough to get an auditorium, dim the lights to get your audience in the mood for a performance. I learned this from a masterful performer, T.C. Boyle. 7. Once on stage, no matter how big or small the stage, you are a performer. Construct a persona. You are putting on a show, whether it is for five people or fifty or five hundred. That’s what people have come for. If they just want to read your words, they can do it at home. Respect their time. 8. Dress up, whatever that means to you. A vintage outfit, a motorcycle jacket, a cowboy hat. T.C. Boyle looks like a punk rock statesman. I’m more conservative and wear a tailored suit, most of the time, or a blue velvet jacket when the occasion demands it. For mostly Vietnamese events, I break out my Rose Tico T-shirt (Rose Tico of Star Wars is played by Kelly Marie Tran). The point is, have some fun and imagine yourself as the star of this show, which you are. 9. Consider visual aids. T.C. Boyle has the advantage of actual movies made from his work that he can show. For my initial tour of The Sympathizer, I had a friend make a three-minute highlight reel from American movies of the war in Viet Nam. Show pictures of relevant things or people or archives or trips. 10. If you just cannot perform, consider having someone interview you. If not an actual interviewer, Amanda Eyre Ward says that she “got some great advice once: imagine questions you’d like to be asked and answer them—this seems less terrifying to me than a ‘speech.’” I have thought about this, too. Write questions for yourself on index cards, silently look at them, and then give the answer to the audience. Answer a dozen of your own questions, and you have a talk. 11. Writing programs should teach their students how to perform. Just a one-unit course. On your own, you should study some videos of good writer/performers, like T.C. Boyle or Luis Alberto Urrea (who memorizes and performs his work, without the aid of a text), or go see them in person and get inspiration. And practice, practice, practice. 12. Last, bring energy to the room. Your energy level will be the room’s energy level, which comedians understand. I psych myself up, go out there and greet the audience confidently, and talk as if I am speaking to the back row as much as the front row. Project your energy all over that room, no matter what the size of it is and the size of the audience. It’s harder to do when the room is barren or half-full, but the show must go on. I find the passion that drove me to write my books, to care about my subjects, and I remind myself that I have to exhibit that passion to the room no matter how many or how few people are present.